Jackson graduates stayed connected with classmates, faculty and fellows long after completing their studies. Jackson Institute graduates are members of Yale’s extensive alumni community. Alumni of the Jackson Institute include graduates of the M.A. and B.A. in Global Affairs, the International Relations M.A. and the International Studies B.A. programs. Our alumni have access to the wealth of resources offered through the Association of Yale Alumni, including the Yale Career Network (YCN) and the Alumni Directory. 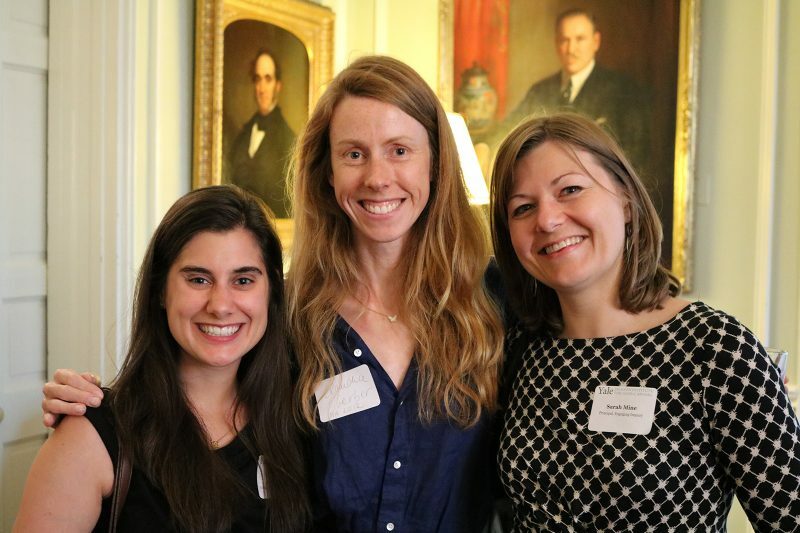 The YCN helps alumni and current students connect with other Yale alumni for the purpose of seeking advice, building connections, discussing career objectives, and exploring new career fields. Our students are strongly encouraged to register with the YCN by logging onto the YCN website. The Alumni Directory is a complete listing of all Yale alumni. The Jackson Institute also seeks to establish and nurture a personal and lifelong relationship with our alumni. If you are an IR or IS alum and would like to update your contact information or have news that you would like to share, please e-mail jackson.alumni@yale.edu. If you are interested in serving as a career mentor for current students or giving a job talk on campus, please see the Career Support section of our website. We have events each year in Washington, New York, and London. Past events have also been held in Geneva, Beijing, Hong Kong, Denver, and Seattle. If you are an alumnus/a of one of our programs and have not heard about our alumni events, please email Elizabeth Gill, Director of Career Services and Alumni Engagement. Please join the Jackson Institute LinkedIn group. Job-seeking alumni are encouraged to email our office to join our weekly career newsletter mailing list.